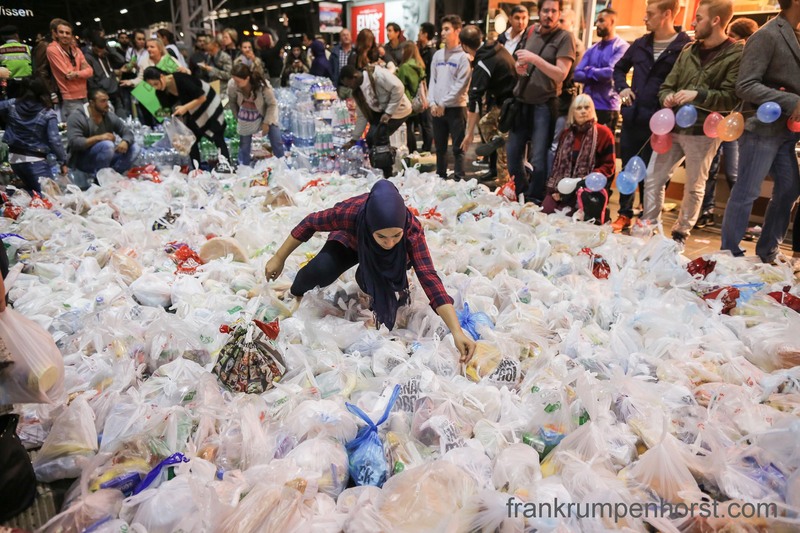 People surround hundreds of bags containing food donated by volunteers as they wait at the central train station in Frankfurt for the arrival of refugees on a train from Austria, Aug 5. This entry was posted in germany, Photo, Photography, refugees and tagged european central bank, flee, food, refugees, volunteers. Bookmark the permalink.